You are going to love this home!! Move in ready 2 bedrooms, 1 bathroom. Hardwood floors throughout most of home, large living room and bedrooms, original built-ins lead into dining area and remodeled kitchen maple wood cabinets, granite counter tops and stainless steel appliances. French doors in dining room lead to the Florida room and then to the back yard. Driveway on Tangerine Avenue allows easy accessibility to the home from road and leads to attached garage with washer and dryer, roof 201. 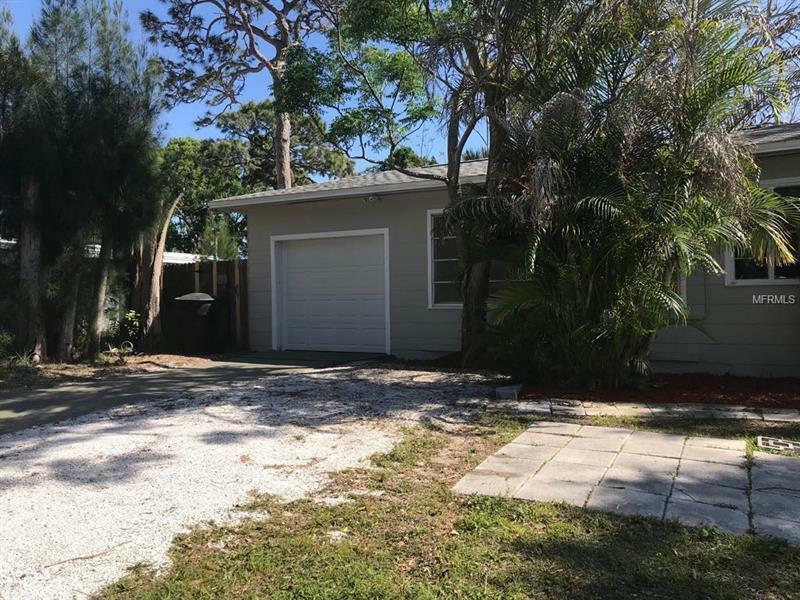 The house is near the beaches, 5 minutes from Boca Ciega Bay and 20 minutes to the pristine Gulf Beaches. It is close to the Gulfport arts district, restaurants on the waterfront, and the local street vendors selling all kinds of items from tasty desserts to gifts and antiques.